#UrbanHegemony Project /// ZKU 13 to 27 November 2015 /// Talk about the street as public space, everyday practice and artistic intervention with Alireza and Dr. Kathrin Wildner /// 26th November, 6.00 pm /// “Enqelab Street” is the first exhibition in a series of Urban Hegemony project initiated by the Studio for Contemporary Creation. The Urban Hegemony project is about the rapid urban changes in Iranian cities and the socio-political implications of these transformations. It addresses the formation processes of urban spaces that possess potential for creating new ideologies and lifestyles for citizens. Urban Hegemony discusses how a city can define and subtly re-configure the narrow borders between citizenship and non-citizenship, between order and chaos, and also between the legal and the illegal. “Urban Hegemony” begins in Tehran on one of the most important streets in the Middle East, “Enqelab”, which literary means “Revolution”. If we have Tahrir Square for Cario, and Taqsim Square for Istanbul, then for Tehran we would refer to Enqelab Square (Street). 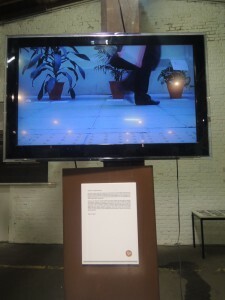 For Tehran, Enqelab represents – as Asef Bayat in his book “Life as Politics” asserts – the “street politics of exceptional junctures, the street of discontent”, but after 2009’s presidential election and the reaction of people on the streets and in public spaces, the municipality of Tehran configured Enqelab street space in such a way as to minimize the social interaction of citizens.